Cinema News: Superstar Rajinikanth is in the process of launching a political party soon. Acting on the same side, Rajini's recent release of 2.0 movie has earned a record of Rs 600 crore. 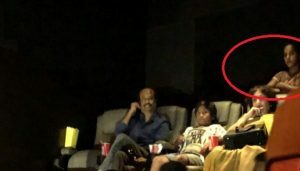 Rajini and his wife and grandchildren in Rajinikanth's film at Chennai Sathyam Theater. The photograph and video of both were diamonds on social networks yesterday, in which a woman was standing behind them. 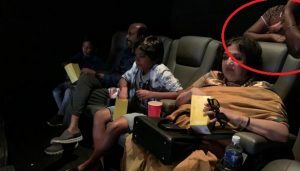 The girl is said to be a maid of superstar's home and she saw the whole picture standing.